Let me begin by saying that if you are interested in German wines, you should seriously consider making the investment. With current prices at $25.84 on Amazon.com (35% off) and £10 on Amazon.co.uk (50% off), you can hardly go wrong, and I will give you reasons why you might want to pull out your credit card and go ahead. First things first: Stephan Reinhardt, the author, is an editor of the magazine Weinwisser and a regular contributor to the wine magazine The World of Fine Wine and the German daily Süddeutsche Zeitung. Together with Stuart Piggott and others, he co-authored the 2007 extensive book on wine in the German speaking countries “Wein spricht Deutsch” (Wine speaks German). Jon Wyand has been a photographer for over 30 years, is the photographer for the whole series and has done an absolutely amazing job on this one. With that expertise, Reinhardt ventured to write the first book on current German wine making and wine makers in English since 2003 (The Wines of Germany by Stephen Brook). While German wines are gathering a better and better reputation among international wine critics (notably my beloved Jancis Robinson was an early supporter), old notions of overly sugary, uninspired wines still persist in many consumers’ heads. A new generation of wine makers that began ten to 15 years ago, however, has transformed a lot of Germany’s wine regions. These young (and older) wine makers learned from colleagues worldwide and from each other, and in the process have brought German wine making back to exciting new heights (one could even say beyond previous levels). 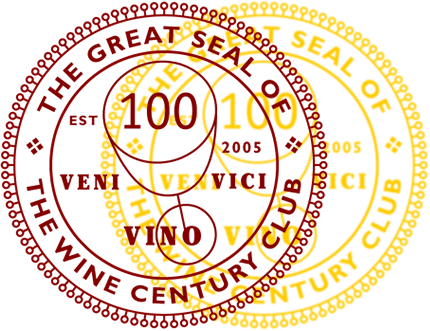 While all this is going on, and while German wine makers are producing more dry wines than ever, the international view is still largely focused on auslesen and above, the flag ships of sweet wines that are unparalleled worldwide. And here is where Stephan Reinhardt’s book comes in: Reinhardt relishes these old classic styles, and he appreciates and as enthusiastically embraces dry and new styles. It is a book full of passion: for German wine, for German wine makers, and for the German regions where these wines are grown. It is hard not to get excited with him when he takes the reader on his journey. The book is divided into several introductory chapters on the history of wine making in Germany, its peculiar geographic conditions, on labeling and the notorious German Wine Act. This is followed by 70 individual portraits of wine makers in almost all of Germany’s wine regions. Reinhardt explains why he did not include all regions, but I still found that a bit disappointing. I don’t think it would have hurt to include one or two profiles even from the smaller regions (in Mittelrhein, for example, which was left out, Florian Weingart – a wine visionary – and Matthias Müller come to my mind…). Yet, any such compilation means that wine makers the reader might want to have seen in the book have to be left out. And I am ok with this. In a short email exchange, Reinhardt told me that the book was mostly intended for the newcomer to German wines, as an introduction and enticer to visit wineries and try German wines. The book starts off really strong in the first chapters. They provide enough history and information for the newcomer, and contain new aspects or glimpses for those more familiar with the subjects. Reinhardt does a great job explaining German labeling and quality distinctions as well as the VDP’s latest attempts at changing designations. But where he is strongest is in his enthusiasm, writing about his own conversion from dislike of German wines to being a wholehearted lover. He gives us an insight into wine culture in the 1960s, 70s and 80s that led to the demise of German wine (the portrait of his father ordering “dry” wine in restaurants is hilarious, endearing and sort of sad). These chapters are great if you want to understand where German wine culture is coming from and what is going on right now. They also give you an idea that German wine is not just about riesling, as prominent as that grape might be. The portraits of wine makers are divided into wine growing regions. Each region gets its own introduction. There are bigger (up to six pages) and shorter (two pages) portraits. It is here especially where Jon Wyand’s photographic skill comes through. The portrait photos of the wine makers are so personal and give you such a great glimpse into these people, into who they are. Very personal and intimate. I am a visual person, so I am really grateful for seeing the people making some of the most remarkable wines in Germany through Wyand’s exceptional photos. The portraits are well written, based on visits Reinhardt had with the wine makers in the course of writing the book. They explain the wine makers philosophy and show us their characters in their own words as well as personal descriptions of Reinhardt’s impressions. They further give the reader an idea of the terroir in their vineyards. This is followed by classic reviews of some of their wines, nicely honest and straight forward. Reinhardt is a gifted descriptor of emotions and it felt as if he took me along into the living and tasting rooms of the vintners he visited (for example when he describes the incredible atmosphere when tasting wines at the galactic Egon Müller Estate along the Saar). I very much appreciated that quality of the book. While I enjoyed most of the portraits I read, I also had some problems with them. It is not always clear what the portraits want to achieve. The one on Weingut Fürst in Franken (Franconia), for example, is one of the longer portraits and it is filled with so much technical information on vineyard, harvest and the work in the cellar that my head was buzzing. I felt it was a lot, there were many terms I was unfamiliar with (pigeage and remontage for example). I could not help but wonder how the curious newcomer would feel when reading this. I appreciated the information, but it might be going beyond what was necessary…At some points it seems, Reinhardt was not entirely sure what the target group should be (and who could blame him, I think all writers, this one included, struggle with this). This could have been helped by a broader glossary. I was happy when I discovered the well composed and informative glossary, but it could have included terms that were not connected to German wine words but rather wine making words in general if they were used in the book. Given that I am a stickler, I also want to point out that I am not entirely convinced the font used in the book (I am basing this on the UK version) is the best readable font. It might be the glossy paper, but I think the font itself is not very reader-friendly in that it can look a bit blurry at times . Also, in rare instances, the book was not as edited as it could have been: some chapters use English spelling for cities, others German (“Koblenz” and “Coblenz” are what I remember). 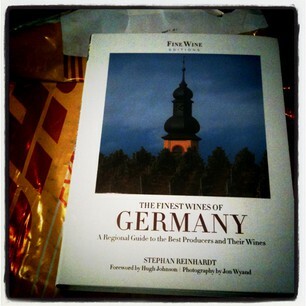 In all, these issues are minor to what the book provides: A personal glimpse into Germany’s exciting wine scene. It is meant as much as a travel guide as a book to be consumed at home. As I wrote earlier on this blog, German wine culture is still incredibly open for visitors, even at the higher end, unlike prestigious estates in Bordeaux or Italy can be. So it is very possible even for the casual wine drinker to go and visit the estates and meet the wine makers (not all of them, so you better use the provided addresses and get in touch beforehand). If I was not clear enough: If you are interested in German wine and want to know more about its history as well as its current crop of good producers in an accessible way, this is the book you want to pick up. I highly recommend it. I am now considering looking into other books from this series, notably Burgundy and Tuscany. Stephan Reinhardt, The Finest Wines of Germany. A Regional Guide to the Best Producers and Their Wines. Foreword by Hugh Johnson, Photography by Jon Wyand. Fine Wine Editions. Aurum Press Ltd.: London, 2012/University of California Press: Berkeley, 2012. 272 pages, paperback. ISBN: 9780520273221. I haven’t researched German wine extensively as of yet. Thanks for the resource! As far as I know it is specifically written for non-German speakers, and I am not aware of a German version coming out any time soon. I do not need it in German, but it sounds like a great resource! Hey do you know if the book is also available in German? I usually buy the wine guides in their native language (if I speak them). I’ve had a bad experience with buying the Gambero Rosso 2012 in German instead of in Italian.